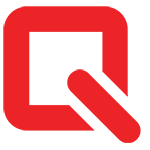 by Michael Miller – August 2 is the official day when faithful Catholics of Costa Rica (and nearby countries) journey, by the hundreds of thousands, to the city of Cartago, about 15 miles to the east of San José. 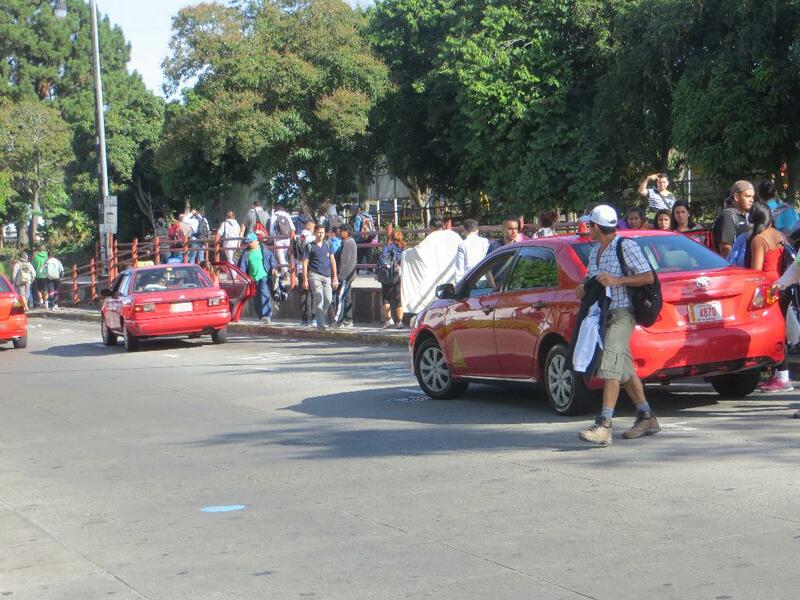 They go to visit the Basilica de Nuestra Señora de los Angeles (Basilica of Our Lady of the Angels). Every half hour, the Cartago Express off-loads hundreds of passengers returning from the Basilica, at the Atlantic Train Station in Downtown San José. Photo by Micheal Miller. In reality, the faithful have been making the pilgrimage to Cartago all week long. For the past few days, you could see groups of hearty walkers heading east to the Basilica. 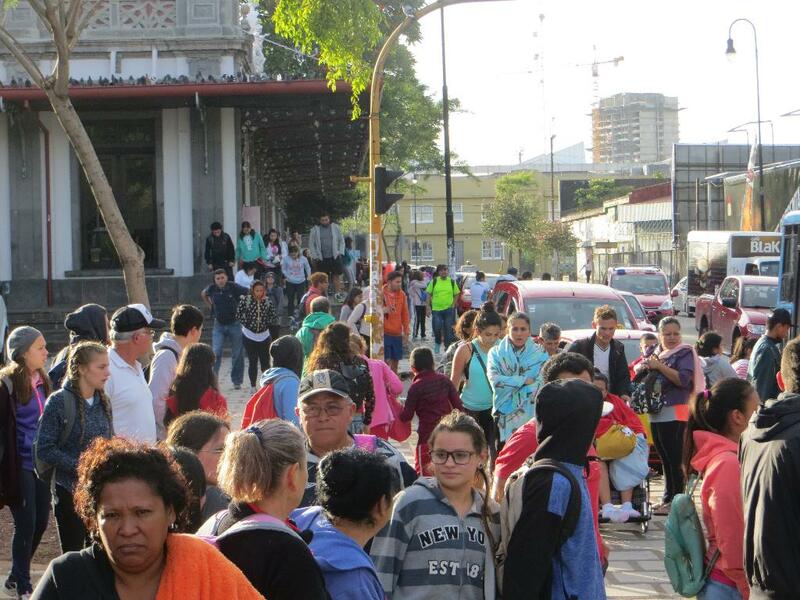 Last night (August 1), taking advantage of the cool evening air, there were tens of thousands of people walking along Avenida Segunda out of San José toward San Pedro; Young people, old people, a great many families, some of them with children in strollers. The crowds were so heavy that police in cars and on motorcycles restricted the traffic to the lanes away from the walkers, who spilled out from the sidewalks onto the street. 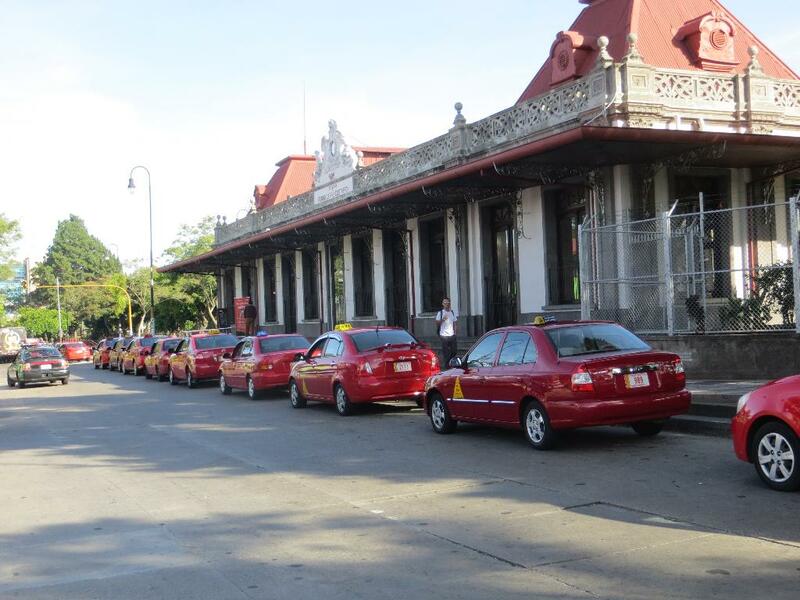 Dozens of taxis line up to await the next train-load of pilgrims returning to Downtown San José from Cartago. Photo by Micheal Miller. The faithful believe that by visiting the Basilica this week, and especially by walking, their prayers for sick members of their families will be answered. It was on this day, in the 1600’s, that a little black statue of the Blessed Virgin was discovered in the woods near Cartago. 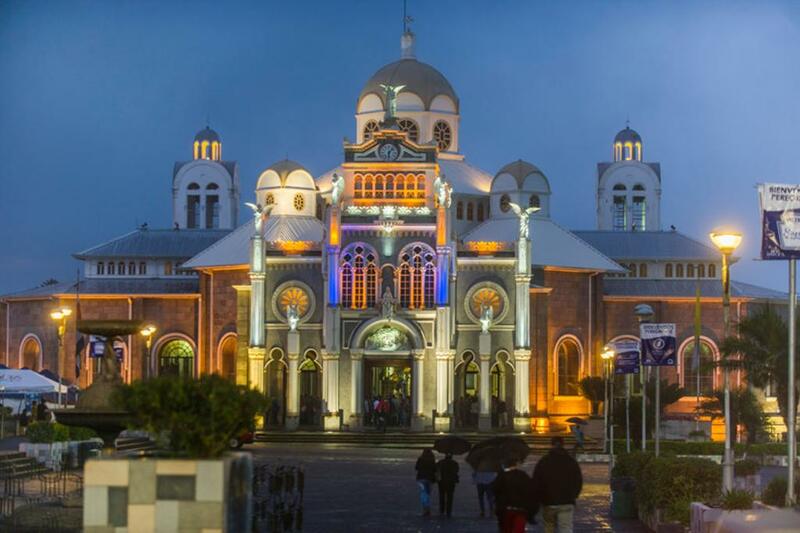 The Basilica was built where the statue was discovered, and it is now considered the most important religious site in Central America. 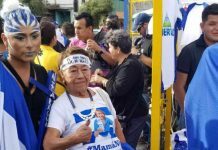 Tens of thousands of pilgrims of all ages walked through the night from Downtown San José to Cartago to pray at the Basilica of Our Lady of the Angels. Photo by Micheal Miller. Whether you are a believer or not, The Basilica in Cartago is stunning. It is the most beautiful cathedral I have seen outside of Europe. And the crowds it attracts during this time of year are mind boggling. 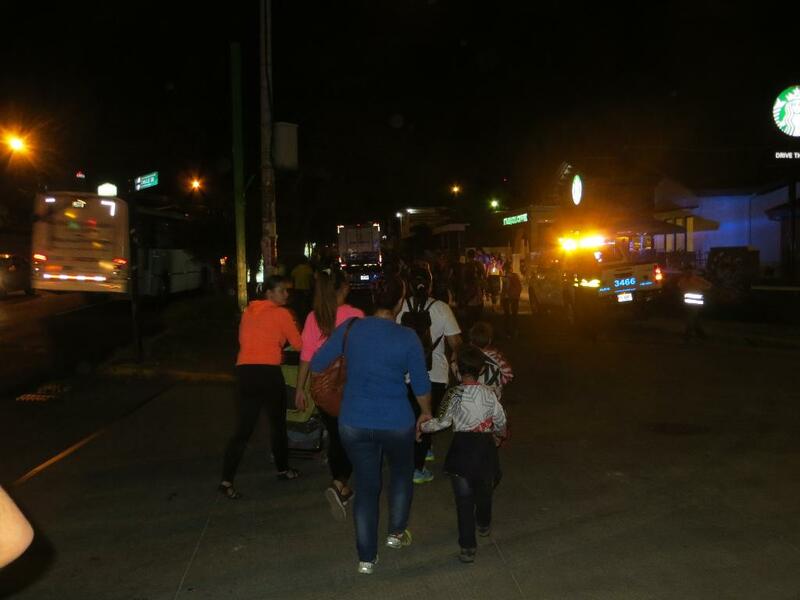 Passengers from Cartago scramble for taxis, or load onto city buses to continue their journey home. Photo by Micheal Miller. Over a million people (about 20 percent of the population of Costa Rica) will have visited and prayed there during this week. Today, the weary travelers are returning to San José. Many will come back by train or by bus. 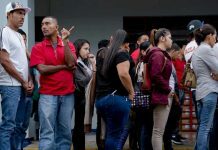 At the Atlantic Train Station this morning, 10-car trains were arriving from Cartago every half hour packed with the returning pilgrims. 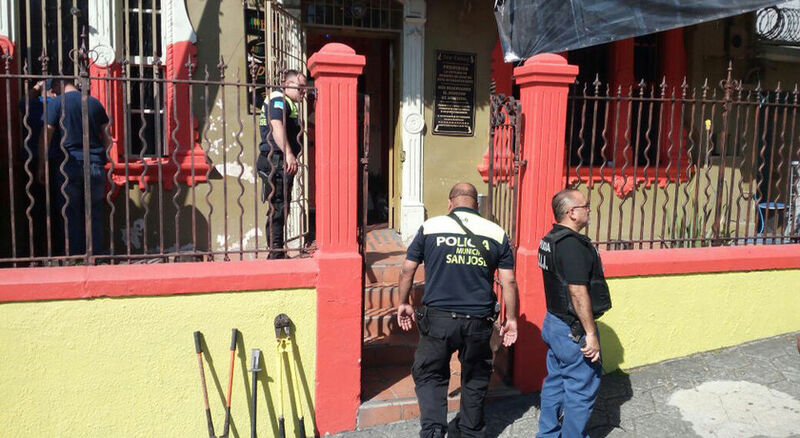 Station officials said that the train service from Cartago would continue until noon today. The Basilica in Cartago. Photo from the internet. 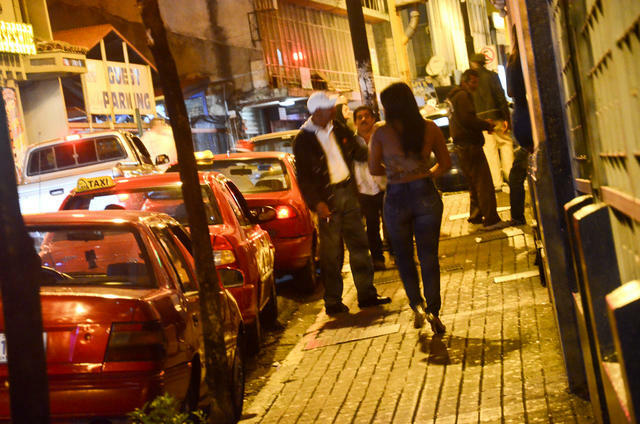 Michael Miller is the author of the only guide book that focuses on Downtown San José, Costa Rica, titled: The Real San José.